There is a reason why Lance Armstrong’s tour titles were not awarded to the person who finished second. Almost all of the top finishers in the Tour de France in the Lance era have themselves been caught doping too. At the 2005 Tour, the highest finisher never linked to doping was placed 24th. But how did cycling’s doping problem become so widespread? And what can cycling’s history tell us about what doping is likely to be happening in other sports? Let me start on 23 May 2006, when two apartments belonging to Dr. Eufemiano Fuentes were raided by Spanish police as part of an investigation into doping. Approximately one thousand doses of anabolic steroids and hormones were seized, along with 211 blood bags. During his 2013 trial, Fuentes said under oath that he had treated “all types of athletes – footballers, athletes, cyclists, a boxer and tennis players.” Yet the Spanish judge was insistent that Fuentes only need name the cyclists involved and, to the horror of the World Anti Doping Agency (WADA), ordered the blood bags destroyed, thus preventing the possibility of further investigations. As Andy Murray so aptly put it, this was a ‘#coverup’. Operation Puerto was a dismal failure. It could have revealed the prevalence of doping across several major sports, but completely failed to do so. Fuentes was suspended and given a slap on the wrist fine, while the cyclists involved were suspended temporarily. International sport dodged the bullet and pointed to the ‘bad apple’ of cycling, ignoring the systemic problem across the board. However, Puerto did shine a light on a bigger problem: the unwillingness of courts themselves to reveal doping in sport. It simply is not in the interest of the Spanish state to have footballers, athletes, cyclists, boxers and tennis players – who, judging by the cyclists involved, would be predominantly Spanish – revealed as cheats. Some have invoked a difference in attitudes towards doping between some European countries and most of the English-speaking world. As former pro Charly Wegelius [i] sums it up: “Cyclists like Di Luca (who was caught doping) would have been vilified in some northern European countries or in North America. In Italy he was regarded as unlucky (to get caught).” This lax attitude, many argue, has allowed Spanish fans to maintain faith in their sports people, despite the farcical outcome of Operation Puerto. Of course, courts are hardly the only institution meant to catch dopers that have shown precious little will to do so. Sports governing bodies also have minimal interest in this. The governing body for cycling – the UCI – is a superb yet by no means unique example. Lance Armstrong was actually caught doping in 1999. Faced with the demise of cycling’s credibility and jeopardy, both in terms of viewing figures and income, the UCI covered up Lance’s positive doping tests, and probably a lot more. A great example of the financial costs to cycling is Germany, Europe’s biggest economy, where TV networks stopped showing the Tour de France for years in the atermath of the Jan Ullrich’s doping scandal. Indeed, while coverage did eventually resume in 2015, the TV contract was worth less than a quarter of what it was, and included a cancellation clause if more doping is uncovered. Clearly, the scale of the potential financial damage has been reason enough for the UCI to cover up cycling’s doping problem, and explains the eagerness of other sports governing bodies to do the same, especially as TV rights continue to spiral upwards. In addition to courts and sporting governing bodies, anti-doping agencies in many countries – certainly in Italy and Spain for most of the last 40 years – simply did not have the necessary funding to catch athletes, or the political will to prosecute them promptly and effectively when they did. Since national anti-doping bodies have been operating at varying levels of effectiveness, athletes from different countries have been able to get away with doping to varying degrees. After the Festina affair in 1998, which forced the French anti-doping agency to wake up, a generation of French cyclists suddenly found themselves unable to compete with those from Spain and Italy. Even clean pro-cyclists who were being robbed of victories by dopers had nothing to gain by speaking out. 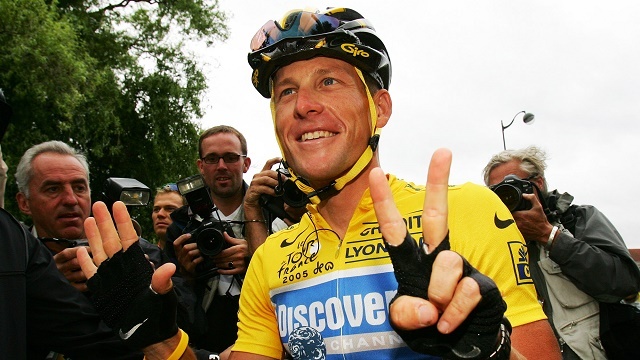 Lance Armstrong pretty much ended Christophe Bassons’ Pro career by brutally enforcing a cycling ‘code of silence’ – an ‘Omerta’ – around doping. Again, there is no reason to think that other professional athletes in other sports would act any differently. It is important to be fair to cycling, a sport uniquely suited to doping for many reasons, but also a sport where it is relatively easier to be caught too. People dope in cycling because the greatest competitions (and, thus, prizes) in the sport are 22-day races with the equivalent of a marathon effort each day, where a doped rider is always going to beat a clean one. Riders are almost always on short one- or two-year contracts, fighting for their next one, and know that one good performance could be the difference between being a millionaire, or being forced to find a new career. Cycling is also an international sport with a relentless calendar of events jumping about the globe. Each different location means different anti-doping bodies, procedures, judicial processes and anti-doping laws (Spain didn’t even have an anti-doping law until 2006!) The relentless travel involved means that the logistics for doping are trickier than, say, if a sports team trained and played half of their fixtures in one place (as is the case for football, cricket and most team sports). Due to the riders’ short contracts, the teams are less cohesive than in some other sports, and riders (with little knowledge of medicine) often conduct and manage their own doping. Today, especially after the Festina scandal where a team was caught systematically doping, teams are keen to be able to point to the fault of ‘rogue’ riders whenever someone is caught. This cocktail of big rewards, tricky logistics for dopers, and desperate individuals willing to take risks, has combined to create a perfect storm in cycling. Many cyclists doped, though more were likely to get caught than in other sports. In recent years, professional cycling has faced the serious possibility of a total collapse in credibility if nothing was done about the doping epidemic. This meant that unlike pretty much every other sport, cycling was actually motivated to clean up its act and catch dopers. So great was the motivation, in fact, that the UCI president whose reign oversaw the doping era was ousted in 2013, the only occasion this has happened at a summer Olympic federation for more than 30 years. One positive is that, right now, cycling is one of the few sports in the world to be governed by someone vaguely competent and non-corrupt (oh, hi, football fans!). 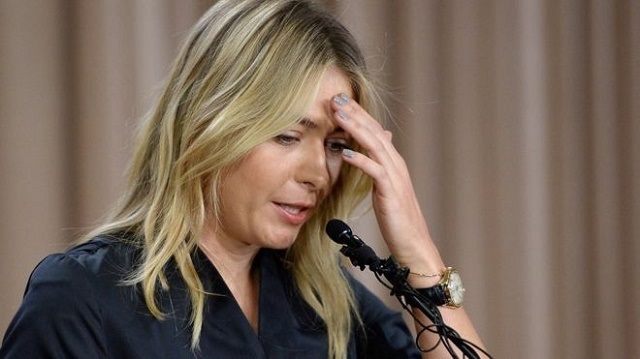 Maria Sharapova, the world’s highest paid female athlete for 11 years running, received a 2-year ban this week for a failed drugs test. EPO, the most widely used endurance-enhancing drug, can be taken long before a race, and can only be detected in the bloodstream for about a day. In 2005, cycling introduced a Whereabouts Program, where riders have to say where they will be for one hour, every single day of the year. It’s a fairly extreme method of catching dopers; but since a rider would only be banned after three missed tests, one that determined dopers can still work around. Ex-pro cyclist Michael Barry speaks[ii] of the time George Hincapie came home to find the testers at his house. Hincapie brought his whole family to stay with Barry as he had just injected EPO and was “glowing”. By staying over, Hincapie avoided being caught – that time. The Whereabouts Program was catching more dopers, but in a sport with at least a 90-year history of widespread doping, culture does not change overnight. In 2008, the UCI introduced the Biological Passport system, which monitors the levels of very complicated sounding things in an athlete’s blood, such as ‘mean corpuscular haemoglobin’. These levels can then be compared across many blood tests, uncovering abnormal levels that point to doping. Pretty quickly, the Biological Passport started catching dopers. However, it lacks the certainty of an athlete failing a test, and often results in lengthy cases with experts, appeals and muddy waters, meaning that National Associations can find ways to let off their stars on technicalities. To address this, the UCI set up, in 2015, an independent anti-doping tribunal for cyclists caught doping. As cycling commentator Cosmo Catalano put it: “The decision means that competitive cyclists accused of cheating to get results won’t be judged by organisations whose sole mission is to make sure their country’s competitive cyclists get results.” Quite, yet no other sport has created such a tribunal. These measures mean that many riders who used to dope have probably stopped, or are doping much less/smarter. Predictably, some idiots have just continued as before, and were duly caught. Cycling is still clearly failing to catch all the cheaters, but by all accounts it is a much cleaner sport today. Cycling’s struggle with doping shows us that if there is an advantage to be gained and minimal likelihood of being caught, then doping will become widespread. To stop doping you need to have some fairly sophisticated measures in place, which simply are not there in most sports, apart from perhaps athletics and cycling. If you look at how most dopers were caught in cycling before the current measures were in place, it was because getting the dope around the world to where the racing sites was logistically tricky, or because of the amateur nature of doping when conducted by individual athletes rather than as a team operation. Sports teams, or individual stars in higher-earning sports, training mostly at a single location, with professional medical assistance and spending little time away from that base – in other words, most sports – will not have these problems. Without proper controls, athletes who engage in doping in these sports will simply not be caught. When one knows what doping can do in terms of increasing stamina and muscle development, one has to assume professional athletes from other sports have looked at the option. Without proper testing regimes in place, however, there is at present virtually no risk of being caught for any non-cycling athletes, especially when cycling is a relatively ‘poor’ sport compared to many others where the rewards on offer are considerably greater. At the end of the day, one must go back to the fundamentals of game theory. If you are clean, and your opponent is clean, then it’s an even playing field. But if your opponent does dope, you have to dope just to maintain parity. You don’t necessarily dope to give yourself an edge: you have to dope to give yourself a chance. Only the risk of getting caught can mitigate these perverse incentives. But in most sports today, there is little risk of getting caught. From a purely competitive point of view, one would thus be a fool not to dope. And so, when one looks at Lance Armstrong’s extraordinary dominance in cycling, it is hard not to wonder with regards to similar patterns elsewhere, such as Michael Phelps in swimming. Operation Puerto’s unnamed doping tennis player, and the destroyed blood bags, combined with tennis’ incredibly-relaxed – but by no means unique – attitude to catching dopers have led many to link Rafael Nadal to doping. When one looks at the current vogue for “pressing high up the pitch” in football, it is hard to think that nobody, in the past 150 years of codified association football, had before considered something so simple yet exhausting as closing people down, all over the pitch, all of the time. When one simply looks at NFL players, you have to seriously doubt the effectiveness of a watered-down test that is currently failing to catch anyone for taking Human Growth Hormone. Cycling shows us that these sports simply do not have effective anti-doping measures. On top of that, it isn’t really in anyone’s interests – not the courts, not the governing bodies, not even the athletes – for dopers to be caught. Consequently, across all sport, it seems highly plausible that many athletes are engaging in doping, and reaping the competitive and huge financial rewards of doing so. Such links and speculations might seem unfair, and as sports fans, we want to believe in miracles of achievement and success. But miracles often turn into mirages, and a toxic atmosphere of suspicion is precisely what a cultural acceptance of doping brings about. This is why we must end such a culture before it contaminates all of sport for a long to come.